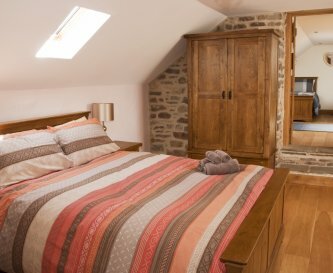 Rhiannydds Cottages, Gwynfe, Llangadog, Carmarthenshire, sleeps 4-12 in 6 bedrooms. 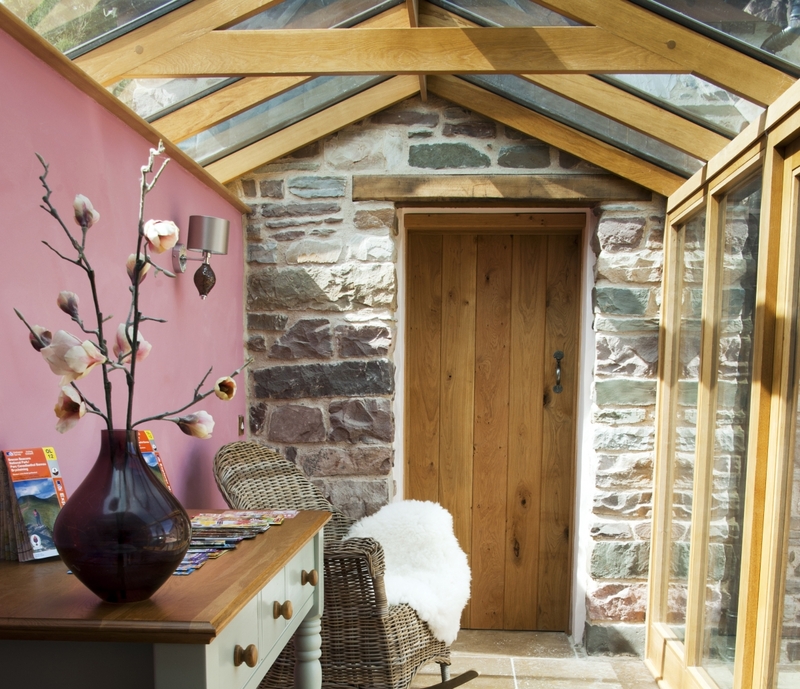 Two stone barns converted to luxury high standard holiday accommodation with a sunny conservatory link. Glorious views over the rolling Welsh countryside and Black Mountain in the western end of the Brecon Beacons National Park. 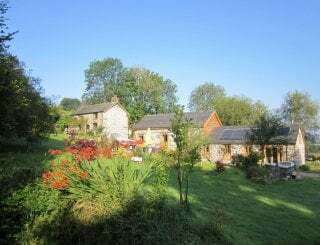 Set privately in a rural location with a hot tub and a great 'play barn' offering a full sized pool table, table football, table tennis and a football goal area. 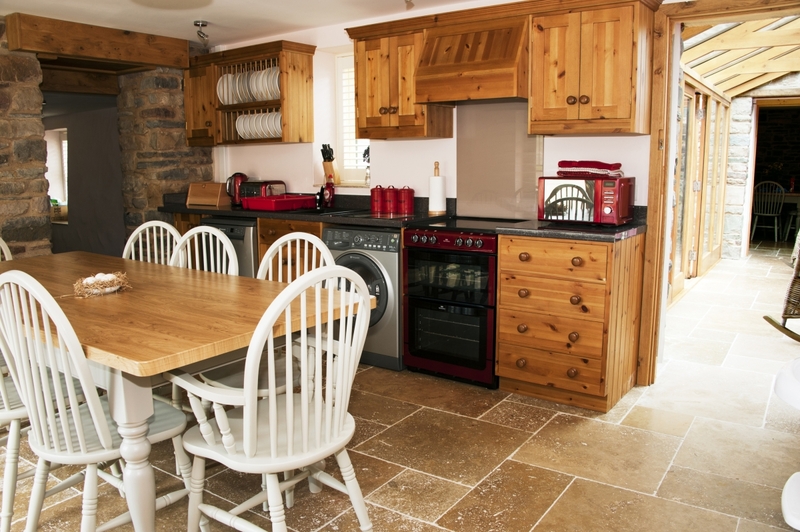 Perfect for groups and families with children. 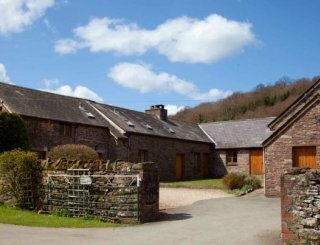 A luxurious barn conversion, with a large, fully equipped kitchen, generous living space and 4 bedrooms. 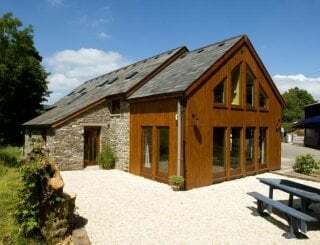 The Barn is the perfect setting for a special celebratory gathering or family holiday and comfortably sleeps 8 on its own or 12 when booked with The Stable. 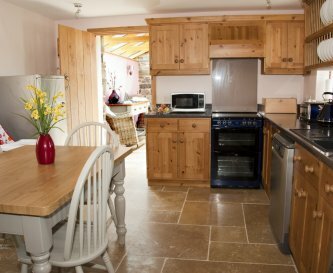 The dining room in the barn has plenty of room for 12 people to dine together, and there are also patio doors which open to the terrace where there is ample space and high quality garden furniture to dine outside if the weather is suitable. 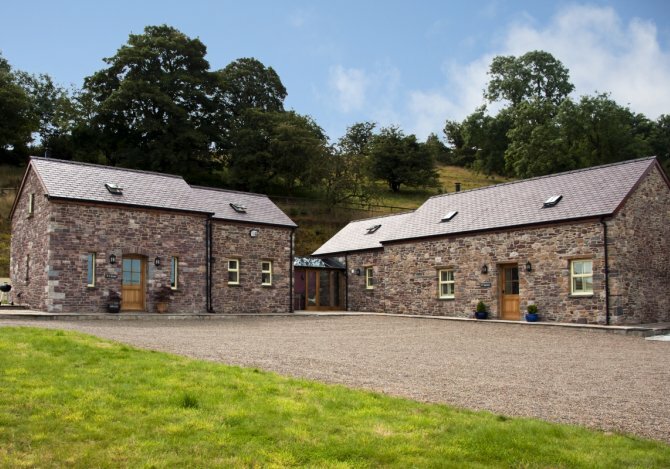 A stylish and comfortable stone barn with more than a touch of luxury. 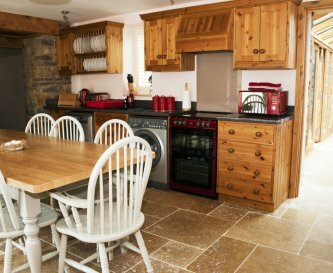 Spacious, well equipped kitchen, comfortable living space and 2 bedrooms, The Stable offers generous accommodation for up to 4 people. 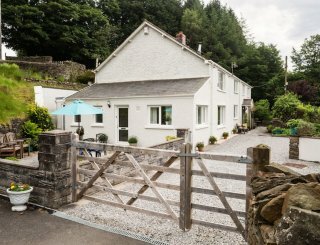 The terrace, with good quality garden furniture, hot tub, garden and barbecue, is fantastic for outdoor relaxing and the games room is perfect for when the weather is less than perfect. 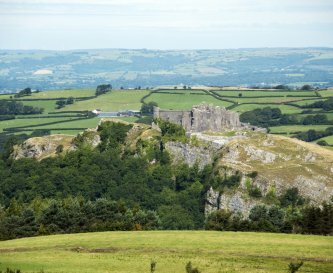 Located only 7.8 miles from the town of Llandeilo making this a fantastic base to explore the areas natural beauty and visit Newton House, Dinefwr Park and Dinefwr Castle. 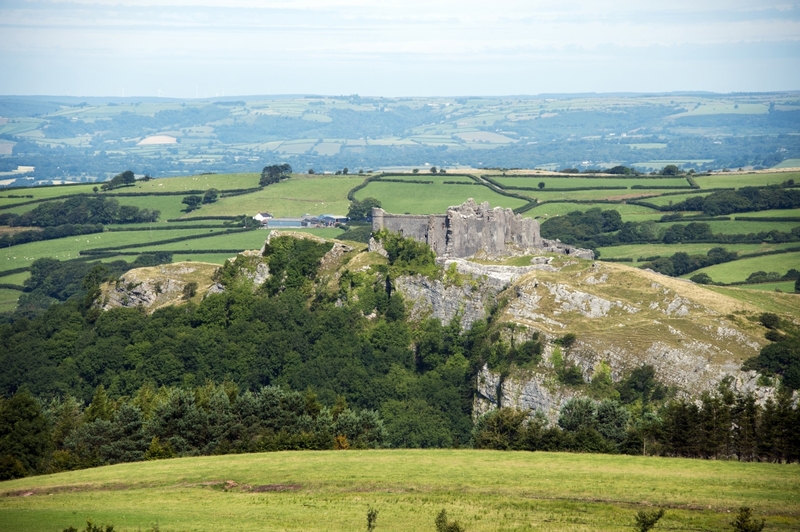 There are numerous attractions close by, including Carreg Cennen Castle, The National Botanical Gardens, Aberglasney Gardens, Gelli Aur Country Park, Llyn y Fan Fach, mountain biking trails at Brechfa Forest and Pembrey Country Park, Four Falls Trail (Waterfalls) and Dan yr Ogof National Showcaves of Wales. 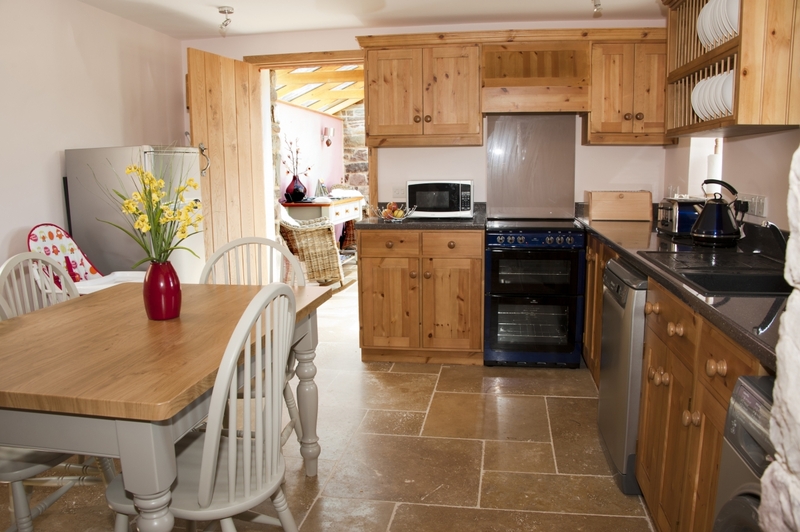 Very spacious kitchens with electric cooker, hob, fridge, freezer, dishwasher and washer/dryer. Well equipped with really good kitchen equipment. Y Sgubor has a dining area that can seat up to 12 people. Y Stabl can seat up to 4 people for dining. 2 high chairs available. 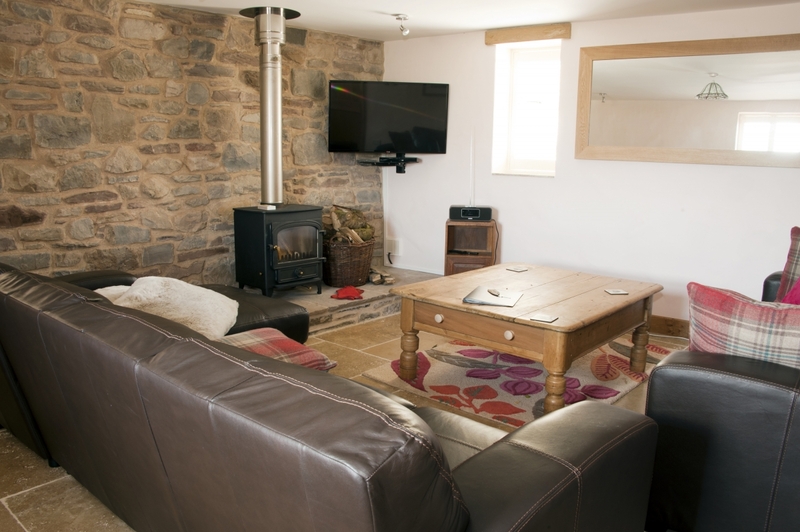 The 'snuggler' sofas and soft Italian leather sofas are perfect for curling up and relaxing in front of the wood stove and gazing at the lovely views. 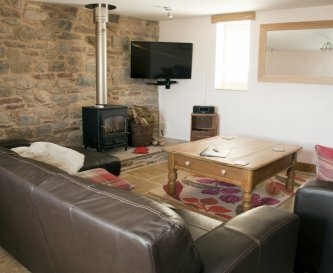 Both properties have new flat screen televisions & DVD players.There are also Roberts Sound System - CD/FM with dock for iPod/iPhone in each property. WiFi is included. There is telephone landline to use if required. Mobile telephone reception is available on parts of the property grounds. 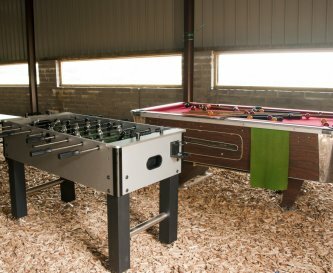 The play barn offers a full sized pool table, table football, table tennis and a football goal area. 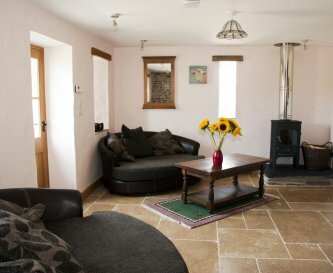 Perfect for groups and families with children. 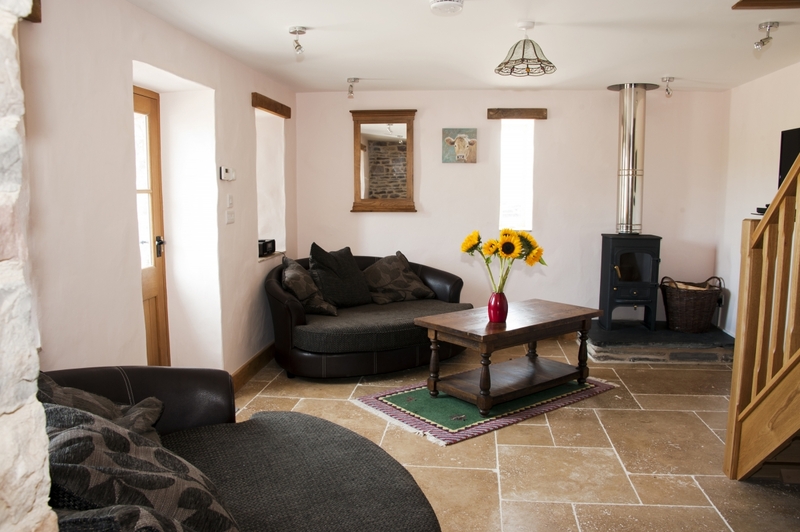 Both property living rooms have clearview wood burners with logs supplied.There is underfloor heating throughout downstairs with radiators upstairs. 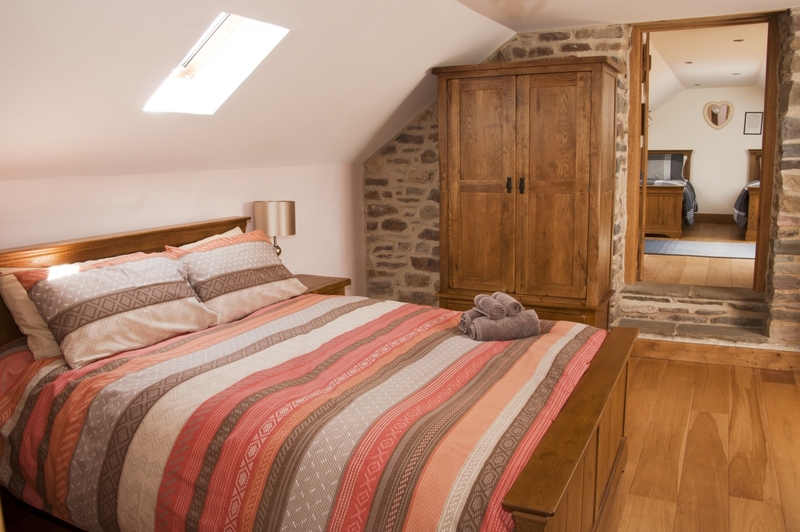 3 king size bedrooms en suite.One with a 2 single bedroom that is a walk through with door for privacy. Also 2 double bedrooms sharing a bathroom. All linen and towels included. Quality duvets and pillows, not feather to cater for anyone with allergies. 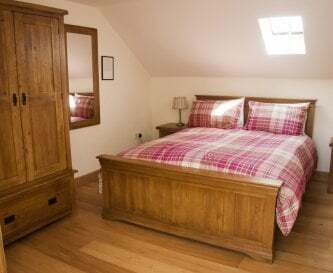 The 3 king size bedrooms have en suite bathrooms with 2 having bath & showers.The third has a wet room.The 2 bedrooms in Y Stabl share a bathroom. 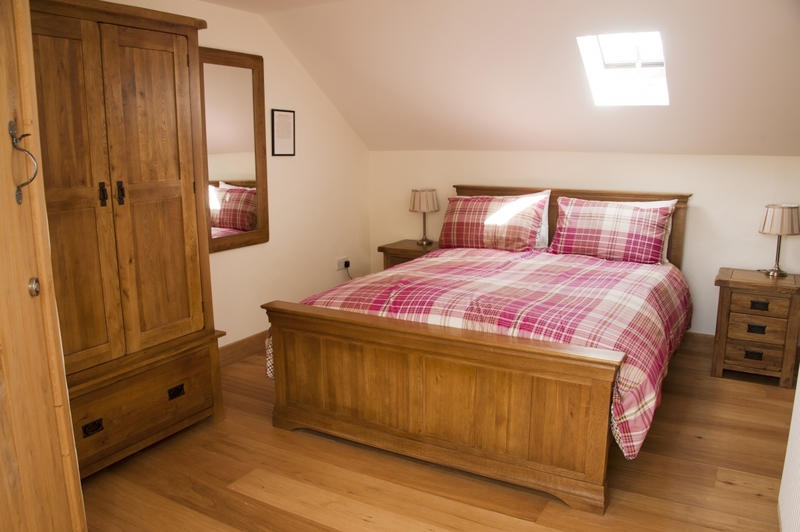 We have a downstairs double bedroom that has a wet room with WC. This is convenient for someone with limited mobility. 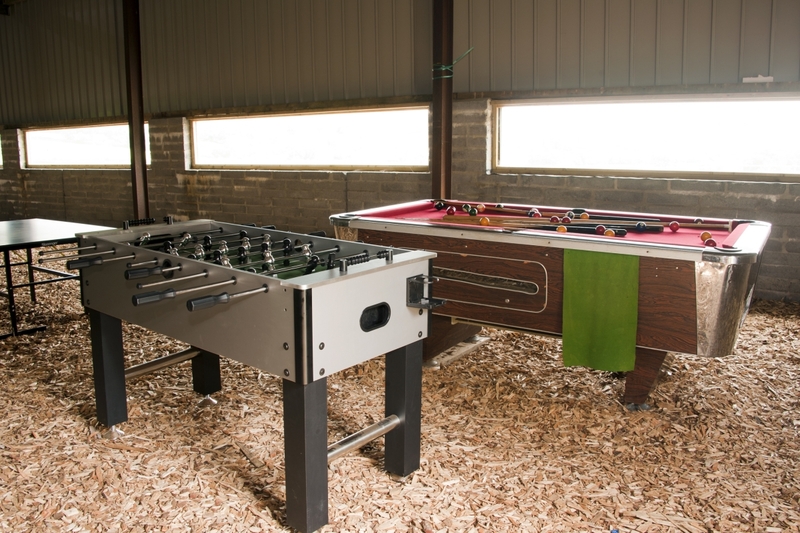 The play barn offers a full sized pool table, table football, table tennis and a football goal area. 2 high chairs & 2 travel cots available. 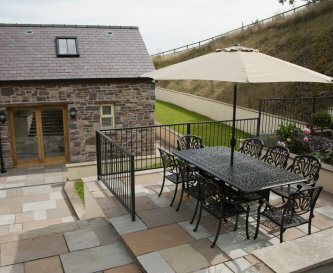 The terrace has good quality garden furniture. 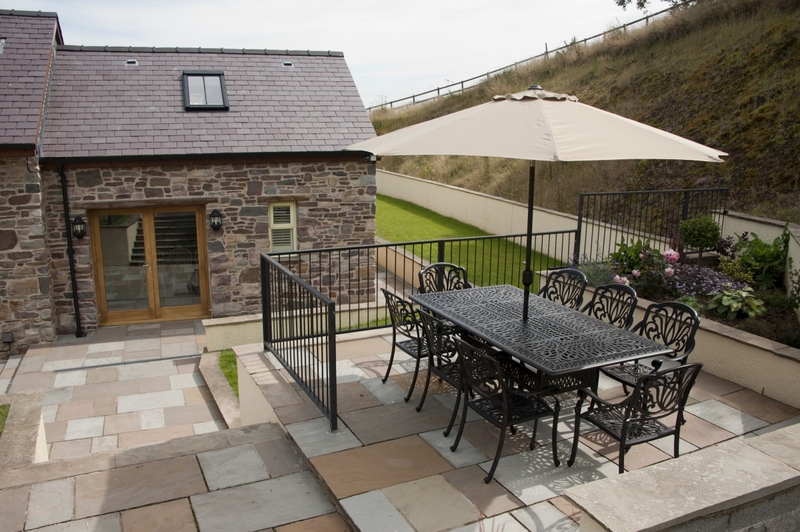 Hot tub, garden & barbecue are fantastic for outdoor relaxing. Terrace & grounds areas are spacious. 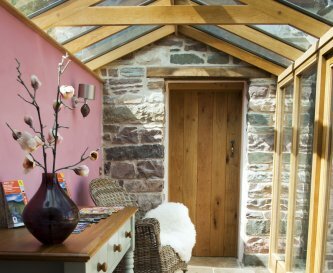 The hot tub offers a chance to relax and take in the glorious views over the rolling Welsh countryside and Black Mountain. 2 dogs can be accepted at a charge of £20 per dog. They must be kept under control at all times due to there being livestock at close proximity. 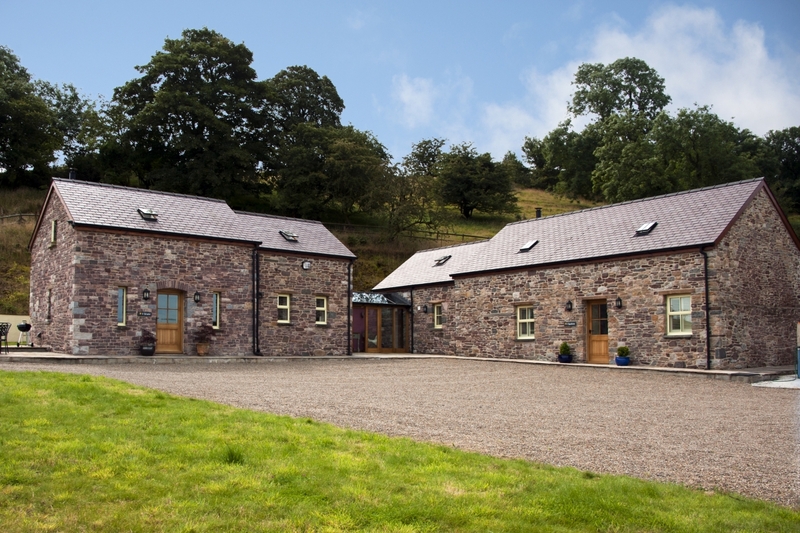 In a secluded rural location on the edge of the Brecon Beacons National Park, and with views of the Black Mountain. 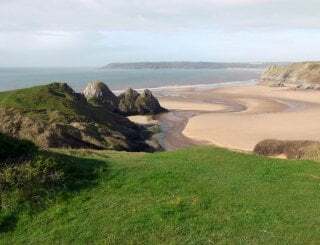 Llandeilo (7.8 miles away). 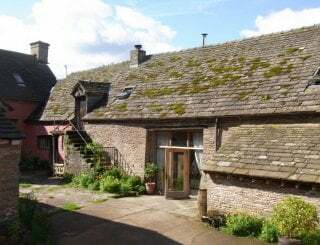 A beautiful little market town. The streets are lined with delicatessens, shops & cafes giving you plenty of choices to eat, drink & shop. 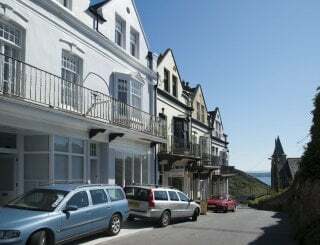 Llandeilo (7.8 miles away). Llandeilo has retained many small independent shops. Big name high street stores may be few & far between, but there is a wide range of businesses. Llandeilo (7.8 miles away). 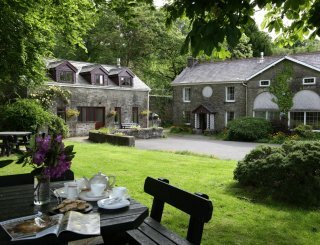 Our personal favourites are Rosetta's coffee shop and eaterie, Cawdors Hotel & the newly opened Gin haus Deli for all gin lovers. 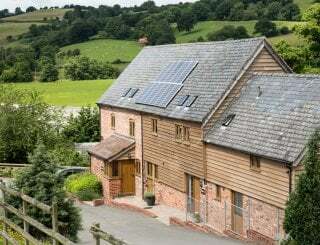 Changeover days are flexible as to visitors requirement. Ffairfach train station ( 7 miles away). Llandeilo train station ( 7.8 miles away).